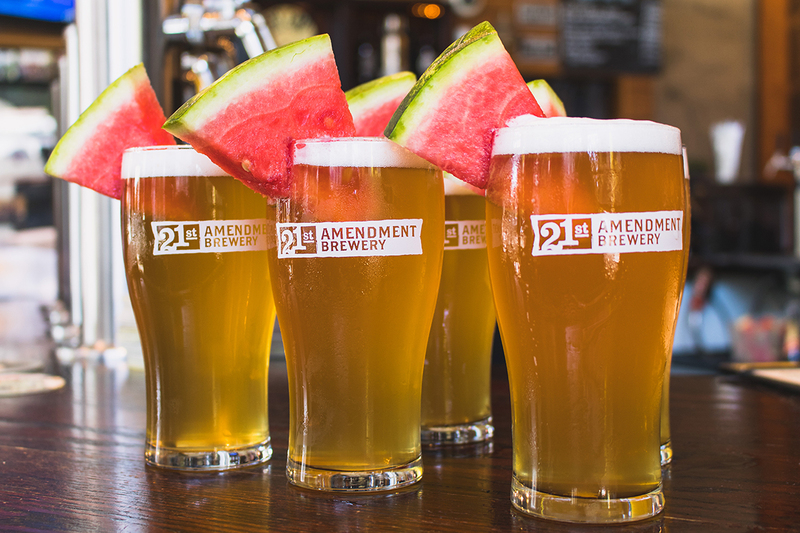 21st Amendment Brewery is well known for their refreshing Hell or High Watermelon Wheat which they serve in their tap room with a slice of watermelon. 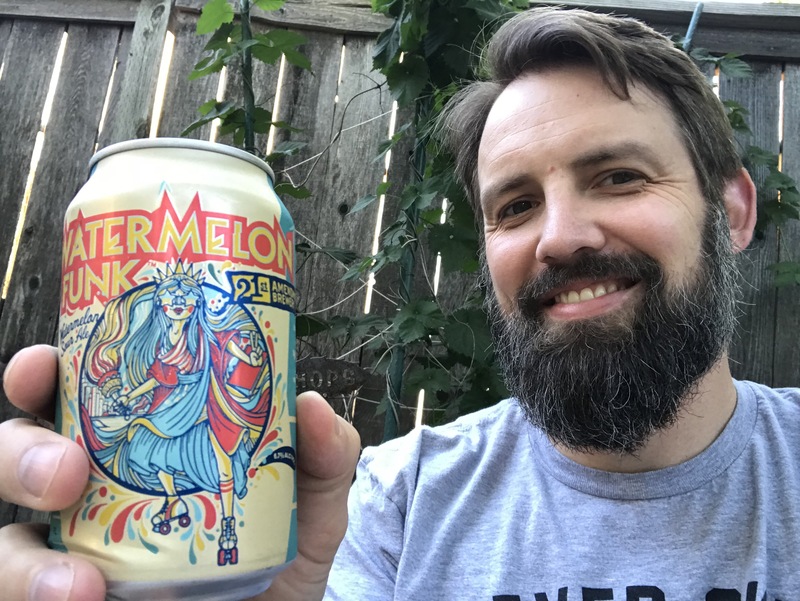 They’ve transformed this beer using Saison yeast and Lactobacillus Planterum to make Watermelon Funk. This beer is also refreshing, but with a funky twist. The added tartness mixes with the prominent watermelon flavor to bring out more of a watermelon rind flavor. This blends nicely with a lemony tartness. The spicy Saison flavors dance in the background for some really nice complexity to this summertime brew. They’ve pulled of a complex and interesting beer that is still super approachable and easy drinking. 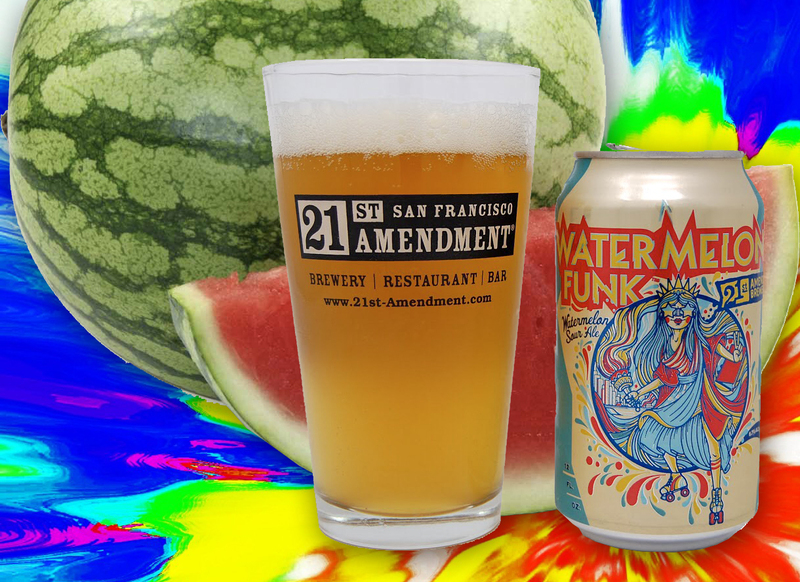 Another exceptionally inspired offering from 21st Amendment! Great beer making is very much like great cooking. One becomes familiar with the basics and then thinks outside the box and executes inspirational recipes that get people talking. Intuitive Imagination Rules!!! !